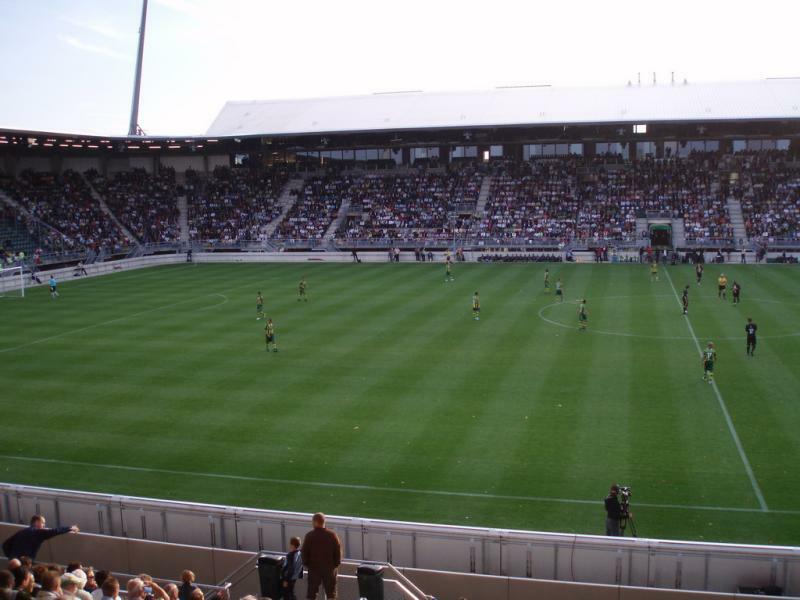 Cars Jeans Stadion, previously called Kyocera Stadion and ADO Den Haag Stadion, replaced ADO’s old Zuiderpark Stadion, which did not meet modern demands in terms of facilities. 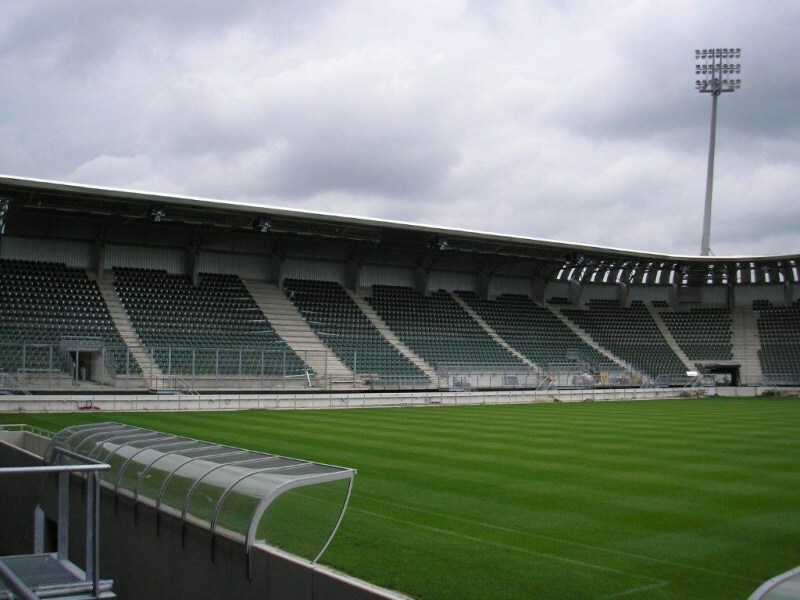 Construction of the new stadium started late 2005 and finished in time for the start of the 2007/08 season. Cars Jeans Stadion officially opened on 28 July 2007. The first match was played between ADO Den Haag and a selection of non-league players from the region. The stadium has an exterior of glowing aluminium. Its design allows for an easy expansion to double its current capacity. In 2010, ADO announced a naming rights deal, which resulted in the name change to Kyocera Stadion. 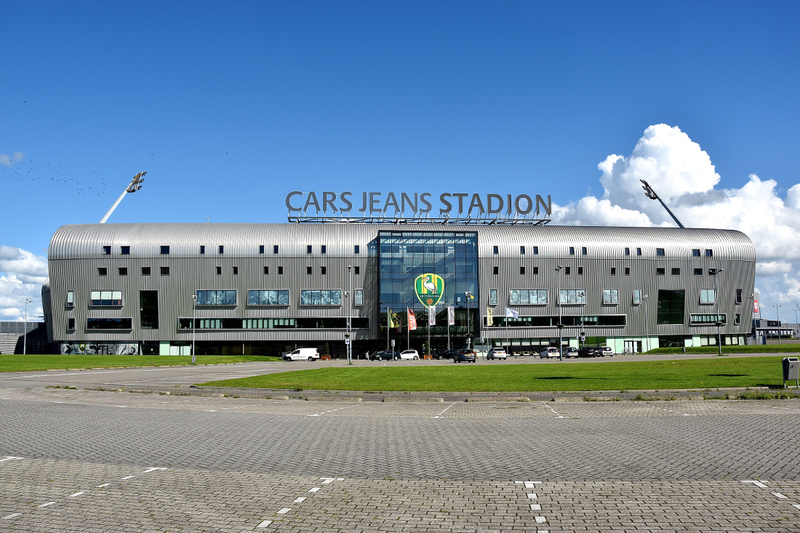 The name changed again in 2017 to Cars Jeans Stadion following a new naming rights deal. Cars Jeans Stadion is located in the south-east of the city of The Hague at a modern office park where the A4 and A12 motorways intersect. The distance to The Hague’s city centre is about 6 kilometres. If coming by car from the A8, take exit 8 Leidschendam. 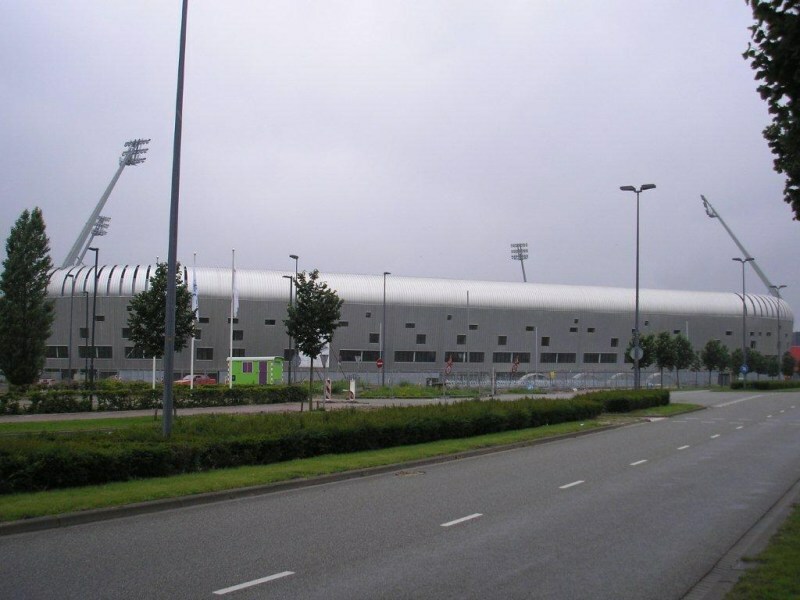 From there the stadium is signposted with a little ball sign and an N.
If arriving from the A12, take exit 5 Nootdorp. Again, the stadium is signposted with a little ball, this time accompanied with a Z. 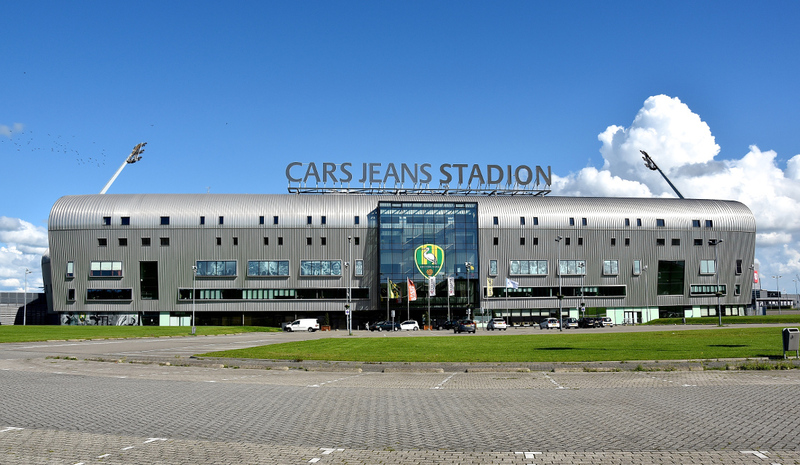 Cars Jeans Stadion lies at walking distance from train station Den Haag Ypenburg, to which regular trains run from Den Haag Central Station and the city of Gouda. The walk to the stadium takes about 10 to 15 minutes. From The Hague, the stadium is best reached by light rail (Randstadrail). Line 3 and 4 pass through The Hague’s city centre (and by the central station), and stop a 10-minute walk away from the stadium at station Forepark. The journey takes 10 minutes. From Rotterdam, the stadium can be reached with light rail line E. Board at Rotterdam Central Station or any other city centre stop (Stadhuis or Beurs), and get off at stop Forepark. The journey takes a little over 20 minutes. Bus line 19 connects the cities of Delft and Leidschendam with Den Haag Ypenburg station. 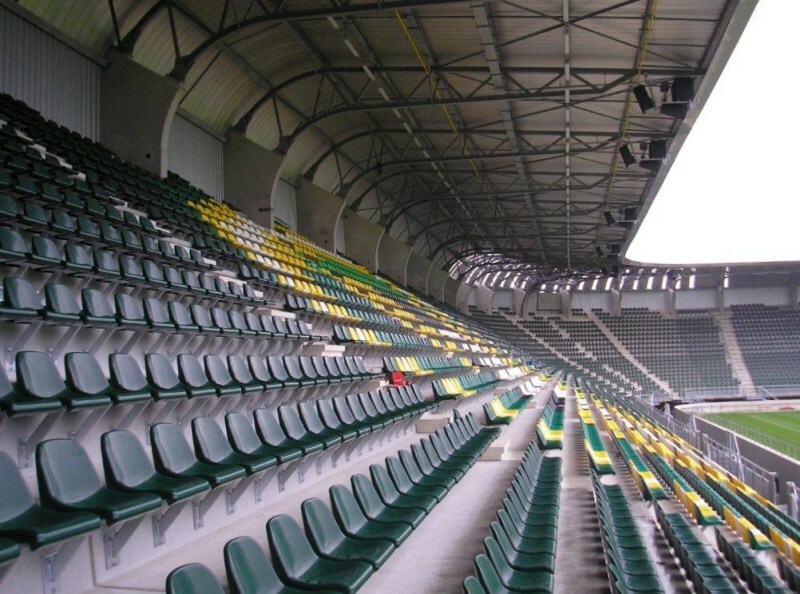 Tickets for ADO Den Haag matches can be bought online, or at the fan shop at the stadium. 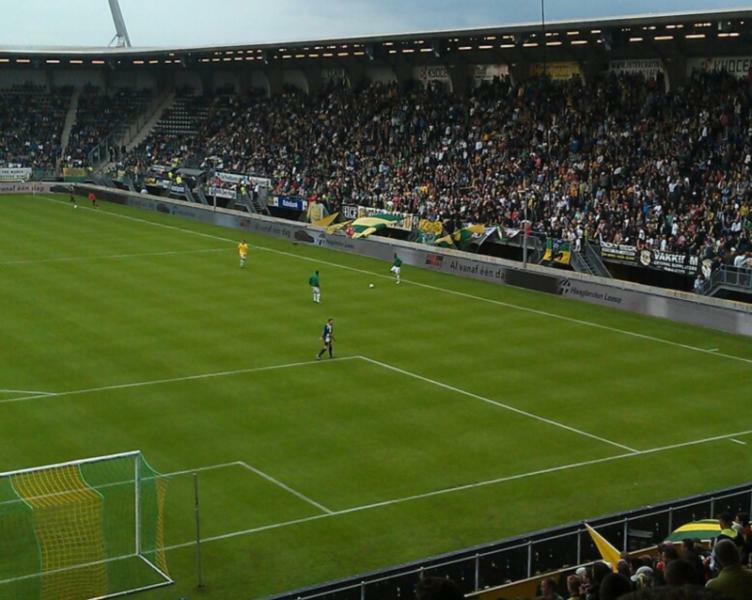 ADO Den Haag only require possession of an ADO Club Card for the home matches versus Ajax and Feyenoord. Otherwise, identification will be required when buying tickets. If tickets remain available, these can furthermore be purchased at the stadium on the day of the match (again with ID). Most general sale matches do not tend to sell out. Tickets range in price from €19.00 for a seat behind the goal to €45.00 for a seat at the main stand. For more information email info@adodenhaag.nl. Adodenhaag.nl – Official website of ADO Den Haag. Denhaag.nl – The Hague tourist information. HTM.net – The Hague public transport information.